Sports JRN students repping big w/ESPN and Weather Channel! It was a big couple of days for Michigan State Sports Journalism, and our students. And we are so proud of everybody! • Sophomore JRN student Isaac Constans served as a reporter for The Weather Channel, doing two live hits about the MSU-Oregon game. Isaac did all of his reporting via Skype, using his laptop as the camera. Great work Isaac! 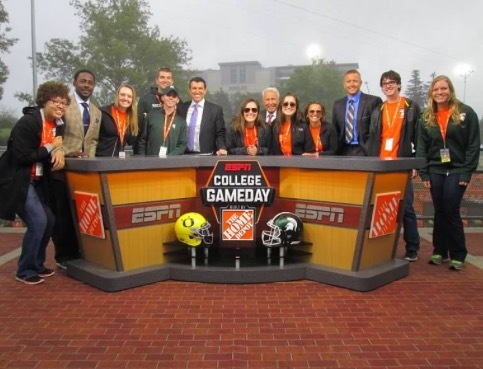 • Seven students from the Association for Women in Sports Media at Michigan State worked for ESPN GameDay, helping with the show’s production and marketing efforts. 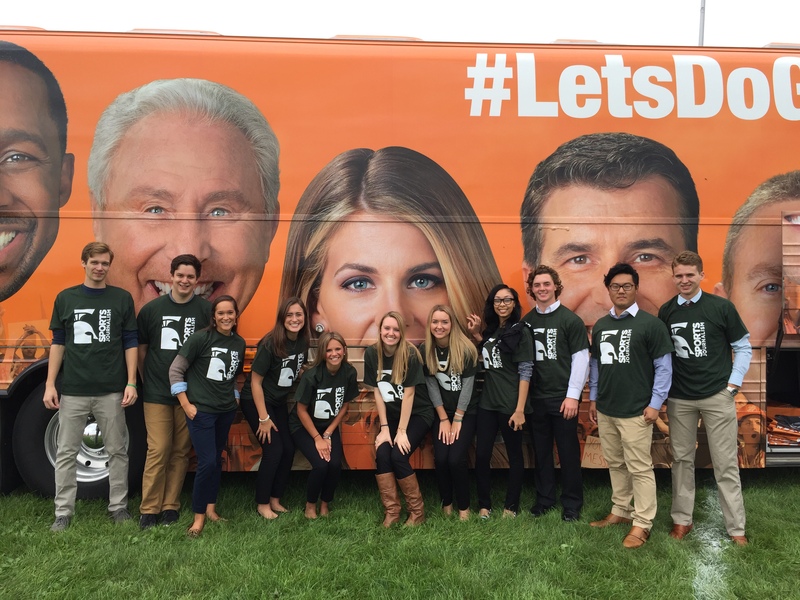 • Eleven MSU Sports Journalism students exclusively went with Prof. Gerstner to see GameDay’s press conference, then toured behind the scenes with ESPN Sr. Ops Producer Judi Weiss to see the production trucks and the set. Ms. Weiss was generous with her time and insight, and the experience was fun and very informative. Previous Post Sports Study Abroad BIG News!